The largest pediatric sickle cell disease program in the U.S.
We are home to the country’s largest pediatric sickle cell disease program, caring for more than 1,800 children and young adults. Sickle cell disease is a genetic blood disorder that affects hemoglobin in red blood cells. Hemoglobin is a protein that carries oxygen to all parts of the body. Normal red blood cells are round and smooth. In a child with sickle cell disease, red blood cells are hard, sticky and shaped like a crescent. Acute chest syndrome: Sudden damage to lung tissue is common in children with sickle cell. Aplastic crisis: The body stops making red blood cells for a short time, causing a drop in your child’s red blood count. Fever and infection: a fever is usually a sign of infection. Infections are a medical emergency for a child with sickle cell disease. Gallstones: A child with sickle cell has more bile (a liquid that is used to break down the fats we eat) than his gallbladder can hold. The extra bile causes gallstones. Gallstones can cause a yellow color of the skin or eyes (jaundice). Jaundice: When fragile sickle cells break open, bilirubin (a yellow pigment in bile) leaks into the blood stream causing the skin eyes to turn yellow (jaundice). Nephropathy: When sickle red blood cells get trapped inside the blood vessels of the kidneys, causing kidney damage. Pain: Sickle red blood cells get stuck and block the flow of blood to parts of the body, such as the bones, lungs, spleen, brain, eyes and kidneys, causing pain. Retinopathy: Sickle cell can damage the retina in the eyes. Splenic sequestration crisis: The spleen suddenly gets swollen because sickle red blood cells block the blood vessels inside the spleen. This can lead to shock and is an emergency for children with sickle cell disease. Stroke: A blockage or bleeding of the blood vessels can cause a loss of blood supply to part of the brain (a stroke). Strokes occur more often in children ages 2 to 5, but can occur at any age. What are the effects of sickle cell disease? Just as important, we offer innovative services, technology and research to manage—and even cure—sickle cell disease. Stem cell transplant: The only potential cure for sickle cell disease. We are a national leader in transplanting stem cells for children with sickle cell disease. Hydroxyurea: A medicine that can help reduce sickle cell symptoms and improve quality of life. It helps red blood cells stay soft, round and slippery. Transcranial doppler (TCD) screening: To evaluate patients for stroke risk. Clinical trials: We are searching for better treatments, prevention and cures through our research efforts. We are the largest pediatric sickle cell disease program in the country, caring for more than 1,900 children and young adults. Combining the latest proven technology and research with a caring, child-friendly approach, makes the Aflac Cancer and Blood Disorders Center a top choice for the treatment of sickle cell disease. In 2017, we provided care for 1,962 children with sickle cell disease – including more than 8,000 clinic visits, 3,700 emergency room visits and 1,700 hospitalizations. We offer a transition program for our adolescent and young adult patients to help smooth the transition to an adult-care facililty. We are a member of the Atlanta Sickle Cell Consortium—a citywide collaboration of physicians and researchers advancing the treatment of sickle cell disease and trying to develop a cure. We have been recognized as a national leader in transplanting patients with sickle cell disease through blood and marrow transplantation (BMT), curing more than 73 children. 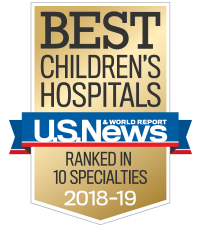 At each of our locations, care is provided by a specialized multidisciplinary team of pediatric hematologists, nurse practitioners, nurses, social workers, psychologists, teachers, and chaplains. We work with experts and treatment centers nationwide to conduct clinical research studies with a focus on improving the quality of life and reducing complications for children with sickle cell disease. Current annual funding for sickle cell disease research from federal agencies, pharma and private foundations totals $5.4 million in direct costs. Our annual research funding from federal agencies and private foundations exceeds $4,000,000 and includes a National Institutes of Health (NIH)-funded Excellence in Hemoglobinopathies Research Award to develop new treatments for sickle cell disease. We are currently evaluating two new medicines to reduce the severity and duration of episodes of severe pain. We are leading an international study on the long-term outcomes and late effects of BMT for patients with sickle cell disease. We have been serving as the leader of more than 40 institutions nationwide on the Sickle Cell Transplant to Prevent Disease Exacerbation (STRIDE) study, investigating the role of BMT in providing safe and effective cures for young adults with sickle cell disease. We have status as one of a select group of centers offering gene therapy for sickle cell disease. Our team is leading a National Heart, Lung and Blood Institute (NHLBI)-funded study with institutions throughout the country. The aim of the study is to determine whether arginine infusions will shorten sickle cell disease pain.